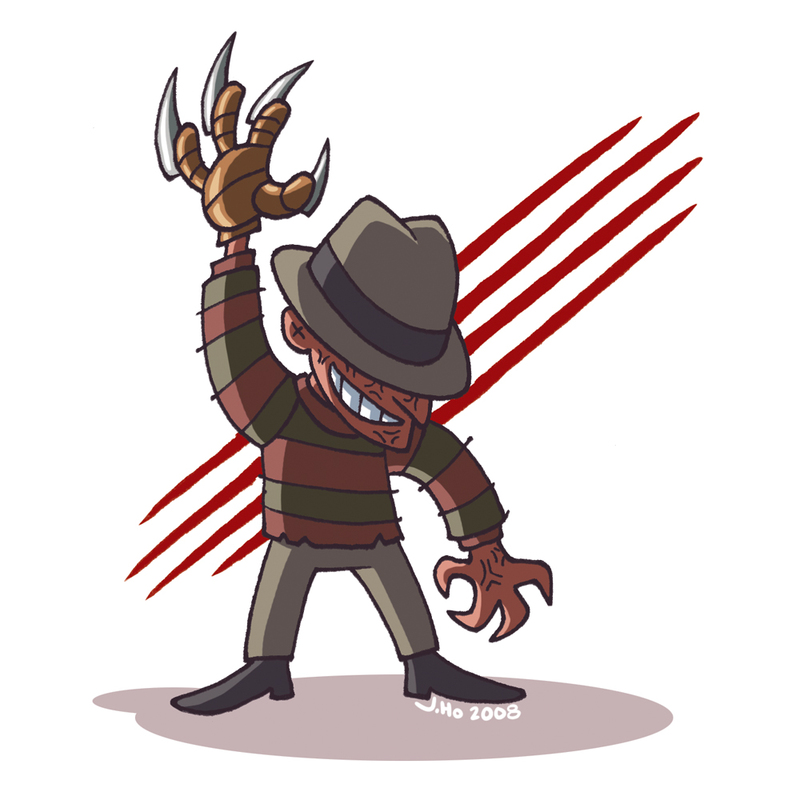 For no particular reason, a companion piece to my Jason Vorhees sketch, it’s Freddy! Waaaugh! I now realize that I learn a lot more working on these quick little cartoony pieces than on more complex pieces. The stripped down style really lets me concentrate on form, motion, composition, and color, instead of sweating the details. I think the result tends to be a more cohesive illustration. BTW, I watched Nightmare on Elm Street recently–it holds up pretty well! Yes. I agree.. This is good times… But I think Michael Jackson’s skin is a bit lighter :P.
If you ever throw a party, you should definitely invite Freddy. He’s quite a cut-up.